A very clever idea! 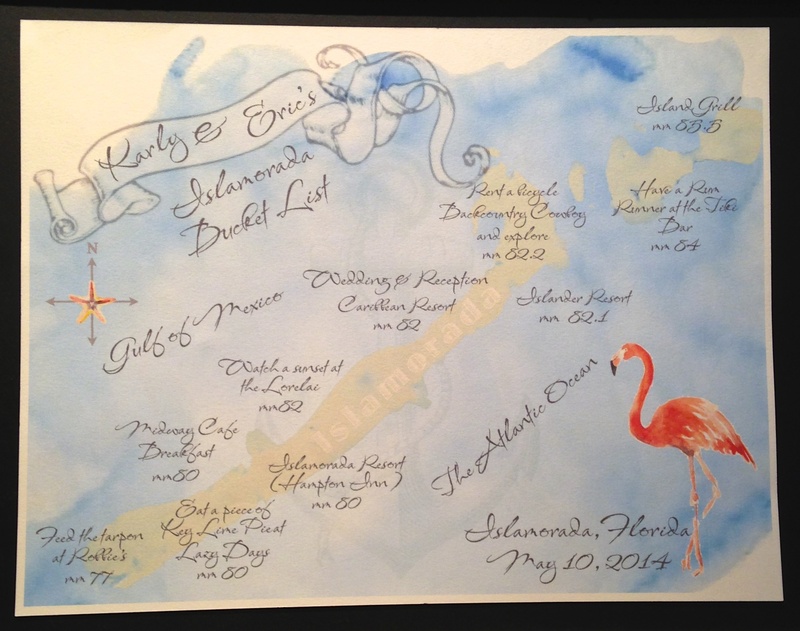 The bride and groom provided this fun “bucket list” of must do’s while on Islamorada for their wedding weekend….see a sunset.. eat a piece of Key Lime pie…feed the tarpon.. have a RumRunner all designated by the particular mile markers in the Florida Keys. Custom map of your wedding destination is perfect for your save-the-dates, invitation suite, guest book or to put in welcome bags for your guests.